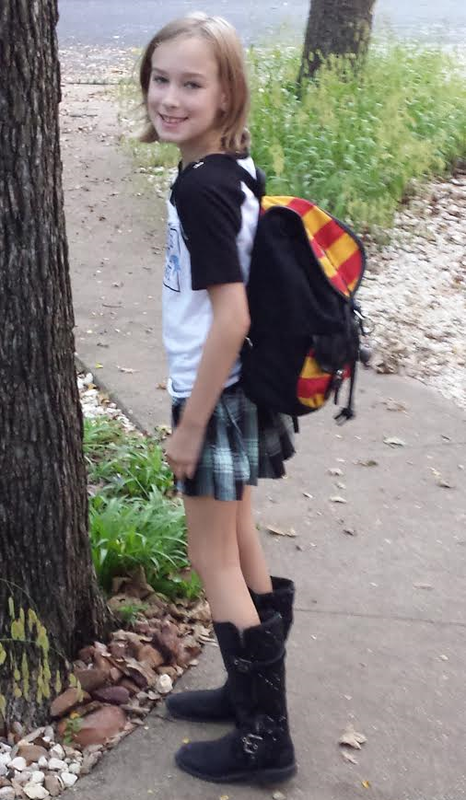 Alice was "nerv-cited" for her first day of third grade. She had her outfit planned ahead of time. Her shirt says something approximating only needing love, lattes and free wifi. 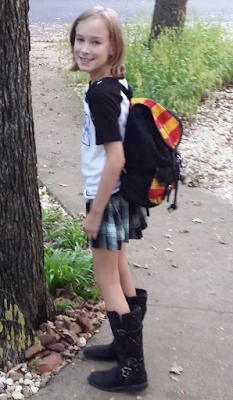 Below she is showing her Harry Potter backpack. Our known milestones for this year are letter grades, and her first male teacher, Mr. Jackson. 3rd Graders are also promoted out of the "front" playground and now take recess on the "back" playground. This picture by the tree in our front yard is a family tradition now. We do it every year.